Stefano Giovannoni is famous for his playful, humorous designs with innovative functionality. 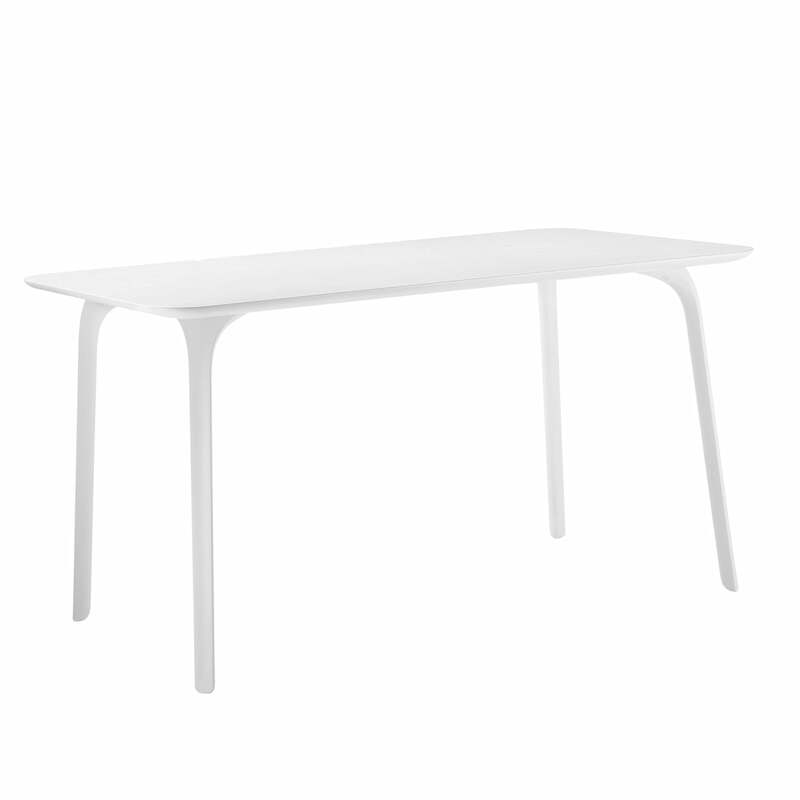 The Table First for Magis is a classic dining table with a flowing and loosely shape. It fulfills the awarded Chair First chairs. The table board of the Table First is carried by four table feet that look out swung from under the board. The table top consists of MDF of HPL-laminate depending on the table variant. 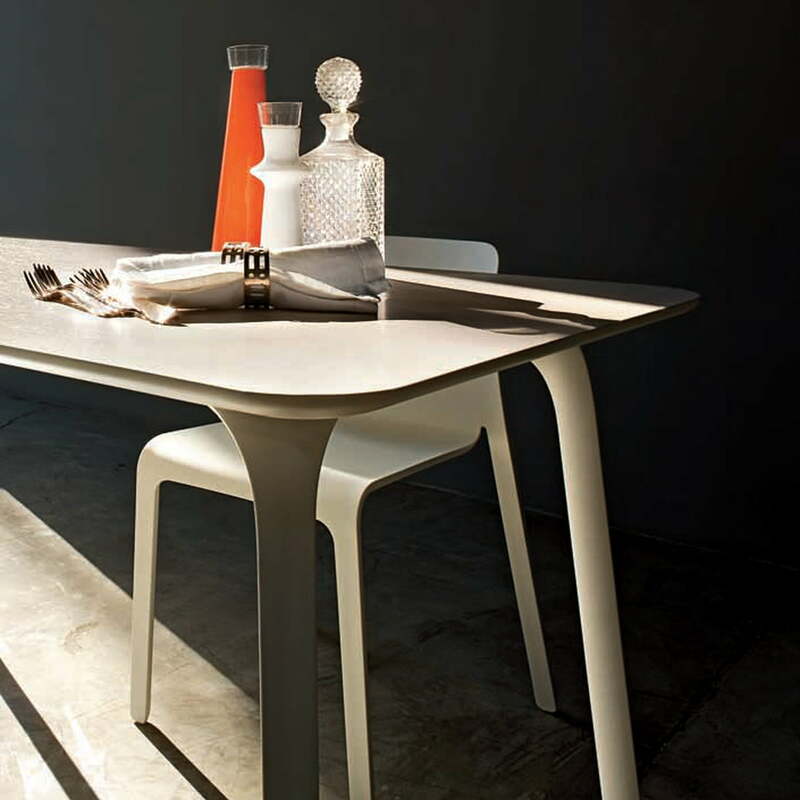 The table feet are made out of polypropylene by Magis, this was reinforced with glass fiber to strengthen the carrying force. 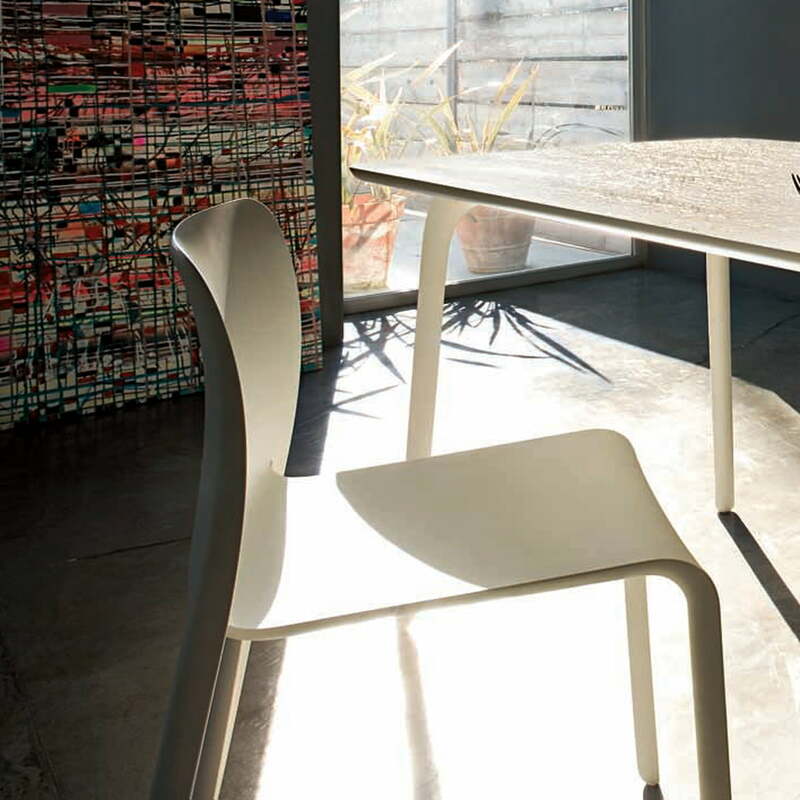 The HPL-edition of the TableFirst table is suitable for indoor and outdoor areas while the MDF board table is only suitable for indoor use.